May 12, 2010  The Wall Street Journal's newly expanded sports coverage comes with some unwelcome baggage: the paper's standard use of honorific titles. The result can make it seem that Jane Austen suddenly took a deep interest in the AL West pennant race. May 5, 2010  The latest threat to baseball is measured in time -- lots of it. Players just aren't swinging away, as they try to force starting pitchers to work hard -- and leave the game. But the big losers are the fans. April 28, 2010  "Why are we expending so much angst worrying about the character of our well-muscled celebrities?" 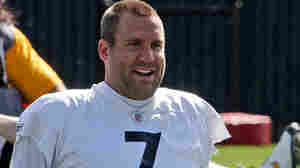 Frank Deford asks, as he reflects on the recent suspension and apology of Pittsburgh Steelers quarterback Ben Roethlisberger. At a certain point, don't you just stop caring whether athletes behave? April 21, 2010  The fate of former Florida quarterback Tim Tebow at this weeks' NFL draft is a hot topic — even though he's not expected to draw a top pick. That may seem strange for a big, strong, Heisman winner who holds two national titles. Blame it on the "football nerds." UConn's Huskies Bad For Women's Hoops? Pshaw! April 14, 2010  The University of Connecticut women's basketball team has dominated the court for two straight seasons. That prompts a question: Can a team's excellence turn fans away from the game? The answer depends on which league you're talking about. April 7, 2010  It's baseball's opening week, when sports fans pretend that all the teams have a shot at the title. But the reality is that the Yankees and a few other rich teams are going to buy championships, while mid-major cities really can't compete. 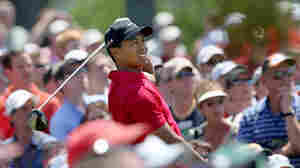 March 31, 2010  When Tiger Woods tees off at the Masters, millions will be watching raptly. That fascination can be fascinating — but it's as much about prurience as it is curiosity over how Woods will perform under such pressure. 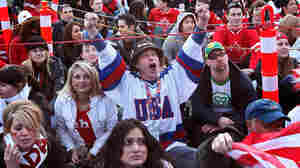 March 24, 2010  As the NCAA's Sweet Sixteen teams prepare to face off, fans in New York City are left to cheer for two upstate squads: Syracuse and Cornell. It's a sad turn for the city where basketball is hugely popular — but whose teams are a laughingstock. March 17, 2010  Among all the things in sports that need fixing, the NCAA basketball tournament isn't one of them. As it is, plenty of obscure teams get into the field of 65 teams. Commentator Frank Deford takes on the idea that basketball's "Big Dance" should get even bigger. March 10, 2010  An antitrust lawsuit against the NCAA seeks a potential payday for athletes who have been merchandised. The case over the use of players' likenesses in video games and memorabilia may change the essence of the NCAA. What if college players were no longer seen as amateurs? March 3, 2010  Fans seem to expect more from athletes than from actors. If you need proof, just compare the fallout from Tiger Woods' transgressions with that of, say, Charlie Sheen. Frank Deford says that sports fans admire athletes in a different way. February 24, 2010  The Winter Olympics are basically a TV show — and a successful one. Lindsey Vonn and other U.S. medal winners even helped NBC's telecast win a ratings battle with American Idol. But Frank Deford says the whole spectacle could shift to ESPN by the time we get to Sochi in 2014. UConn Women's Team Excels; Will America Notice? February 17, 2010  The University of Connecticut women's basketball team is on the verge of breaking its own record for consecutive wins. Still, commentator Frank Deford says the Huskies' remarkable achievements as a team are often overlooked, even as female athletes are getting more attention for their individual triumphs.